Securly announces free Chromebook filtering for all schools across the US. Securly, the world’s leading cloud-based provider of Internet security for K-12 schools, announced that its Chromebook filtering service would now be available for free for K-12 schools within the US. With this, Securly takes another step towards fulfilling its mission of keeping kids across the world safe online. Last month, Securly had announced the availability of the free service outside the US. Securly was founded with a double-bottom line mission to keep kids safe online while continuing to be a sustainable business. To this end, Securly had already released Auditor which is being used by thousands of school districts worldwide and scanning millions of emails daily for signs of cyber-bullying and self-harm. 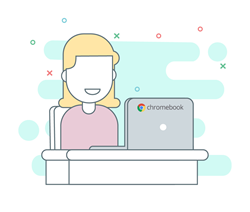 “The Chromebook filtering market has become commoditized, and we believed that the time had come to offer our Chrome extension free for public good. Student safety is our priority, and we believe that this offering will spur further innovation in the web-filtering space by pushing other players to try harder” said Vinay Mahadik, Co-founder/CEO of Securly. Securly is a cloud-based web filtering solution designed especially for K-12 schools. It categorizes over a million websites into K-12 focused categories, while allowing students to safely use search engines, YouTube, and other educational content. Securly works equally well on Chromebooks, MacBooks, Windows and PCs, both on and off campus.